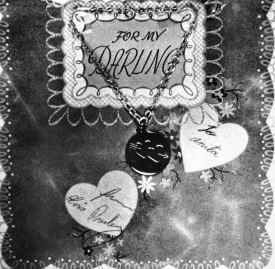 VALENTINE’S DAY with Elvis – How Elvis Celebrated Valentine’s Day. Valentine become a Patron Saint of an annual festival. The festival involved young Romans offering women they admired handwritten greetings of affection on February 14. The greeting cards acquired St. Valentine’s name. 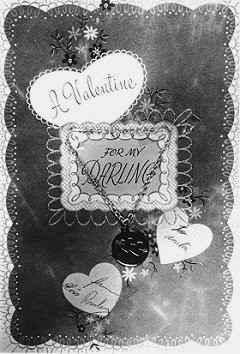 The Valentine’s Day card spread with Christianity, and is now celebrated all over the world. One of the earliest card was sent in 1415 by Charles, duke of Orleans, to his wife while a prisoner in the Tower of London. The card is now preserved in the British Museum. 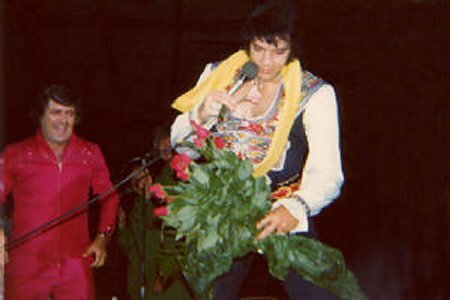 For his 1973 Valentines Day concert in Las Vegas many fans gave the King paper and chocolate hearts. It was a romantic and frantic night. The Christmas before he Left Elvis gave Anita a toy poodle named “Little Bit.” From then until he left for Germany Anita and Elvis were an item. 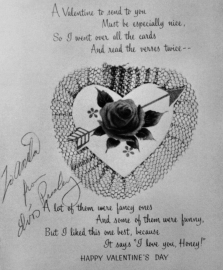 It was during this time that Elvis sent Anita these Valentine’s Day Cards from Germany. 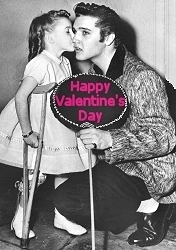 On this 1972 Valentines Day, Red West told Elvis that Priscilla and Mike Stone were having an affair. Anything but the romantic Elvis became violent and vowed he would kill Stone. It took many hours and a lot to talk to cool off the King. Elvis never did good on his threat. On this day in 1964 Valentines Day Elvis sent the Beatles a congratulatory telegram to their New York hotel suite for their up and coming tour of the USA.